Dual Monitor Wall Mount w/ Short Arms Horizontal is a multiple monitor wall mount with 30 degree up/down tilt & up to 180 degree swivel functionalities. 360 degree monitor rotation enables portrait and landscape positioning. Aluminum alloy material renders the LCD monitor mount lightweight yet sturdiness, with weight capacity of 22 lbs (10 kg) for each monitor. Optimal viewing angles and most ergonomic positioning can be achieved through the multiple flat panel mount full motion characteristics. This mounting bracket, which fits all standard types of wall mount, is ideal for classrooms, offices, homes, public area, industrial settings, production line and many more. The monitor arm features integrated durability through state of the art engineering technology, and is tested for strength in our oversea manufacturing plant. The LCD wall mount has been built with the end user in mind, and features easy installation while offering intuitive, practical & functional design from one of the leading manufacturers of wall mounts. Weight Capacity: Supports up to 10kgs (22lbs) for each monitor. Maximum extension: 4.3" (109.2mm) for each arm. Mounting profile: 4.3" (109.2mm). Tilt: 30deg / - 30deg. Rotation: 360deg (portrait or landscape). Swivel: Max 180deg. Mounting Pattern: VESA compliant: 75x75 and 100x100. The unique 180deg swiveling feature allows users to share screen with their close neighbor or the one across the desk, making this perfect for selling and training environments. Ergonomic solution for home and office. Maximize viewing effectiveness. Solid aluminium alloy construction. Quick to install, easy to use. Portrait/landscape rotation 360deg. Smooth, fingertip tilt in all directions. 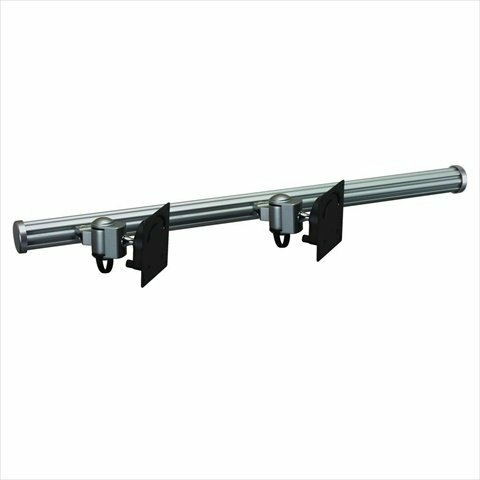 Wall mount type fits all standard type of wall; Pole length: 27.1". If you have any questions about this product by Cotytech, contact us by completing and submitting the form below. If you are looking for a specif part number, please include it with your message.